I’ve just came in from a spot of gardening and found a nice surprise in my inbox… A ‘Featured Product’ email from Zazzle! 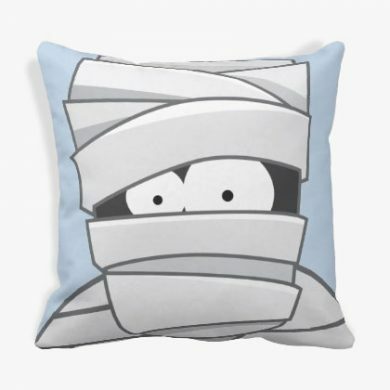 This ‘not-so’ creepy cutesy Halloween Mummy throw pillow features a design which I created for my IckleCritters store back in May last year. Zazzle have been adding a lot of new product lines, including these American MoJo throw pillows, so I’ve been slowly adding my old designs to the new products.